Summer Minestrone – One Half Indian. I am slowly adjusting to my new role as an online teacher, but sometimes I find myself missing the four walls of a classroom that I have known. With so much change happening, I was craving a comfortable and familiar meal. 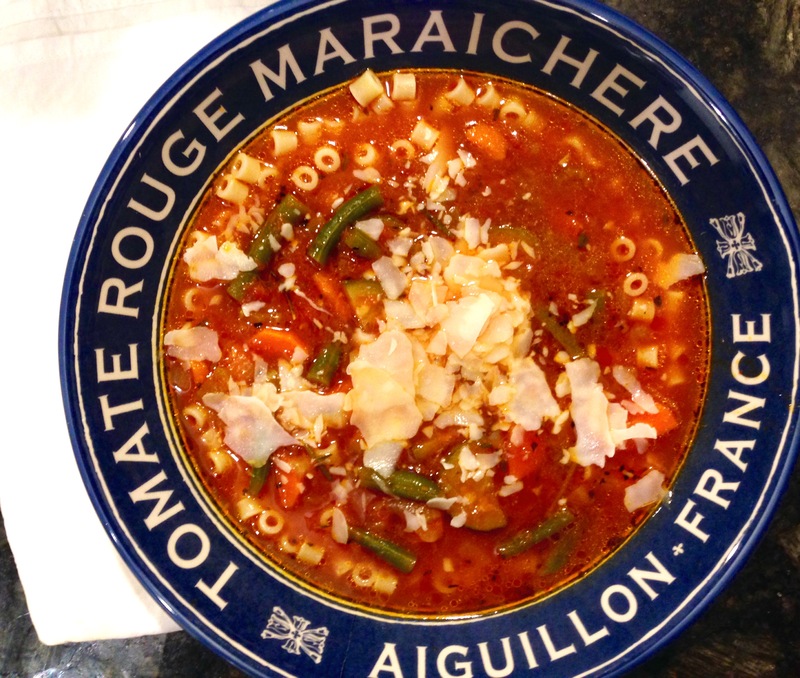 My mother made this minestrone for me growing up. My siblings and dad always preferred a beef stew, so when she made minestrone, it was generally with me in mind. This soup is like a warm hug from my childhood and was exactly what I needed today.This minestrone is the “summer” version in my opinion. In the winter months, I do not include zucchini or green beans. I generally use a cannellini bean and possibly some potatoes in the winter months. You also could add a bit more oil/butter to add some richness in colder months. This recipe is truly one of my all time favorite meals! Heat oil and butter in a large heavy bottom pot. Add onion and sauté until it becomes translucent. Add carrot, celery, and garlic to the pan. Stir ingredients together and cook a few minutes. Add zucchini. Add salt, pepper, basil, garlic salt, and oregano. Cover and cook on medium high heat until vegetables become soft (about 10 minutes). Add tomatoes and their juices to the pot. Combine all ingredients together and cook a few minutes to combine flavors. Add the broth and water. You can add a little extra broth or water (or even some white wine) if it seems less. Add rosemary and thyme. Bring the soup to a boil. Cover the soup and reduce heat. Simmer for 30-45 mins. Add the green beans to the soup. Check seasoning. Add more salt or pepper to taste. Continue cooking another 20 mins or so. To serve, put 3 tbsp cooked pasta in a bowl, cover with one serving of soup, top with shaved parmesan. Note: If you store the pasta in the soup or cook the pasta directly in the soup, it will soak up all of the broth. It is best to keep it separate.